On August 25 & 26, 2018, 2,500 volunteers gathered at the St. Charles (Mo) Family Arena and assembled just over 900,000 meals to provide for those facing needs from hunger. The meals are made ready to eat by adding hot water. More is explained at www.mealsforamillion.com. In this radio segment, Pastors Phil Brownlee & Jose Aguayo, are among the volunteers overseeing the distribution of the 900,000+ meals throughout the St. Louis region with churches, food pantries, etc. The goal: seeing that no one in the St. Louis region goes hungry anytime soon. These two pastors invite your calls for information individually to each of them … for ways in which these ministry meals can be distributed to those in need. Pastor Phil Brownlee can be called at (314) 243-1886. Pastor Jose Aguayo can be called at (314) 368-1642. This great project is in response to the message of Jesus in the New Testament passage of Matthew 25:31 – 46 regarding service to those in need. An enriching resource is available. To access 100 Bible verses related to ministry to those in need … (which I [HHH] frequently use in my “Quiet Time”) … click on … http://s3.amazonaws.com/hendrick-mp3/hendrick/wp-content/uploads/2018/04/06183227/Bible-Verses-on-the-Poor-April-5.pdf. They were largely compiled by Attorney Al Johnson, Executive Director of “New Covenant Legal Services,” (www.newcovenantlegalservices.org), a ministry to assist the poor in legal matters. None of the 2,500 volunteers who served to prepare the 900,000+ meals for distribution – including those in Meals for a Million leadership – is receiving any income from the donations to make it all happen. A budget of $220,000 was established to buy the food ingredients and rent the facility. All but $50,000 of the budget has been met. 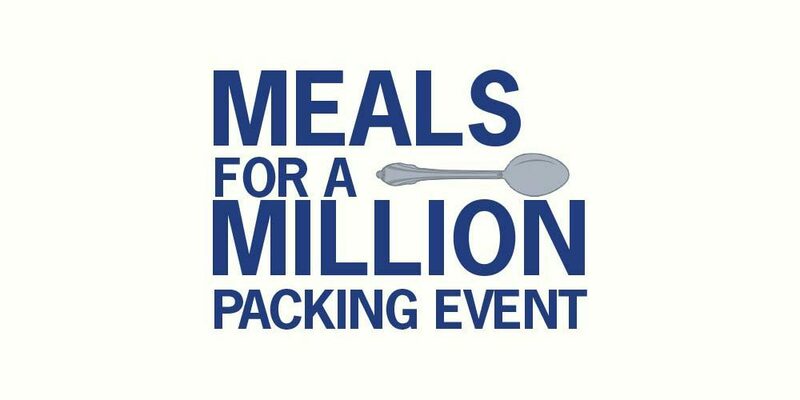 You can help with your tax-deductible gift that can be done at www.mealsforamillion.com. Again, to access 100 Bible verses and passages affirming the heart of God related to ministry to those in need … click on … http://s3.amazonaws.com/hendrick-mp3/hendrick/wp-content/uploads/2018/04/06183227/Bible-Verses-on-the-Poor-April-5.pdf.